My dear Aficionados, let’s discover Kit Adams, a great cigar smoker. He has been writing for 50 plus years, is published from England to Hong Kong, and has one book out about cigars. 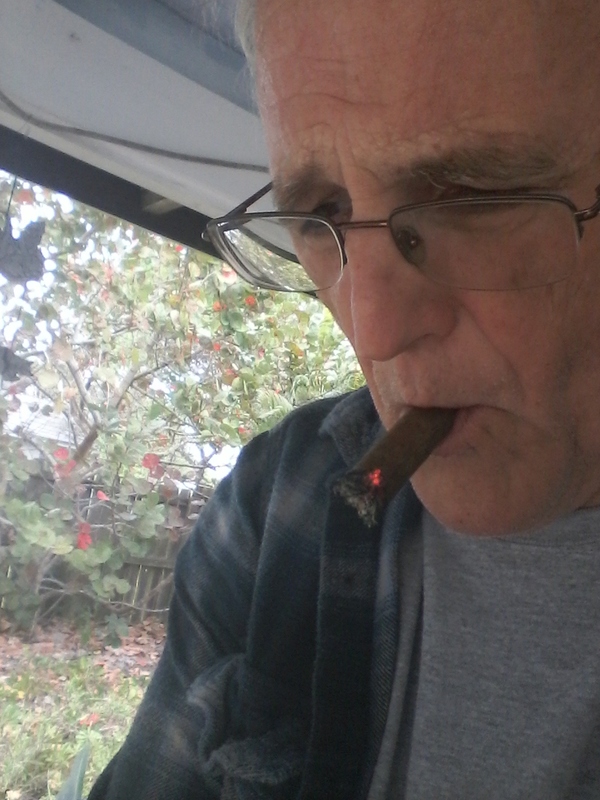 Most of him writing is about cigars and covers the lands he has visited from Thailand to Qatar, Costa Rica to Canada, and St Maarten to Mexico. He has had careers in banking, administration, sales, marketing, and teaching. He enjoys reading immensely and sharing thoughts about the abundance and challenges of living on this planet. In the U.S. Army at Fort Riley, Kansas, around the summer of 1970. 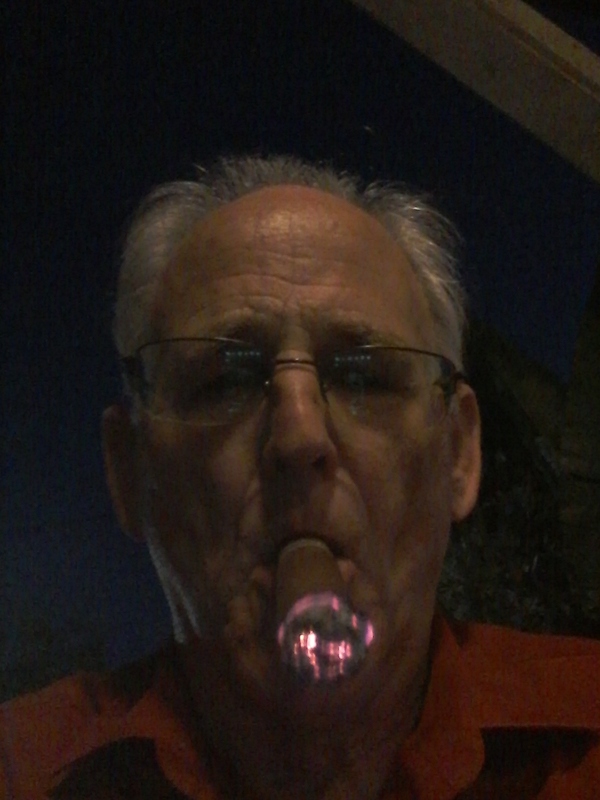 I found the cigar to be a good way to relax from very tense days and times. They provided an avenue for thinking about life beyond the post. For me, going off post did not provide the same flavor, aroma, and reflections. Generally, 1 to 3 a week. I am a writer. Besides the appreciation of the cigar in hand at the moment, I think back and reflect on the cigar and on the ambiance when I smoked it. Besides writing about it and that ambiance at the moment, I gain levels that springboard or leap from that moment with the cigar into the time following the cigar. One exception: In February, 2014, I went to Esteli, Nicaragua, and toured the Perdomo fields and factory. There, I was smoking 3-4 a day. While I appreciated each, I came away with a great appreciation of a fine company, but I could not separate the tastes after the fact. For me, that is important. I used to use a guillotine, but I switched to a V after brutalizing several good sticks. After learning better how to clip, I went back to the guillotine, but I like a punch now and then. The choice is always dictated by the shape and manner of the cigar’s leaf. Relaxed and inspired. That may seem contradictory, but when ideas flow through me to paper or in conversation, I am relaxed, No tension. With the exception noted above at Perdomo, which brought out a stick after breakfast, after lunch, after dinner, and with drinks or coffee late into the evening, it is generally after 3 or around 7. I am still exploring. First, I enjoy the stick at hand. I respect it, and I respect those who cared for the leaf and rolled it and brought it to me. That said, I return to Perdomo because it is in my price range and I have seen how they are made; I use it as my standard when I smoke other cigars. I can appreciate the efforts of the rollers better this way. For example, on the first day of my retirement, I asked my local lounge for a $10 cigar. He said, I have a Padron, $12. I said I’ll take it. I have gone up to $20 for a Drew Estate Egg and $10 for a $30 Ghurka on sale. As a writer about cigars, I don’t pick favorites and I never buy bundles. I don’t have the humidor to handle them, the budget to afford them, or the ability to smoke them and appreciate them one by one. Well, this is Kit. 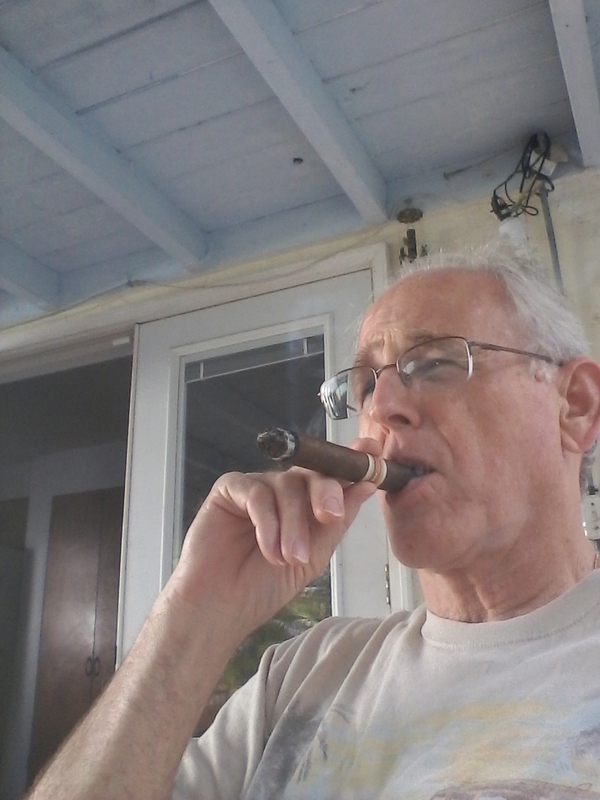 If I can suggest you a thing, read his Spanish Cedar book (www.spanishcedarbook.com), a collection of writings about the experiences of one cigar smoker. Don’t forget to light up your cigar while you are reading it.